The right care in the right place at the right time. For everyone at Beebe Healthcare, accessibility is a top priority—because the best healthcare in the world is only beneficial if it’s available where and when you need it. That’s why we’ve expanded throughout Sussex County to reach and serve even more individuals and families in our communities. Today, as the region’s leading medical provider, Beebe makes some of the best healthcare expertise and technology in the nation available to everyone in our area. We’re close to where you live, work and play—with services that range from emergency care to comprehensive medical and surgical services available 24 hours a day, 7 days a week. At multiple convenient Beebe Health Campus locations throughout Sussex County, we also provide easy access to a wide variety of outpatient services such as imaging, express lab work, and physical rehabilitation. New services are coming next year to Millsboro, Milton, and Georgetown. 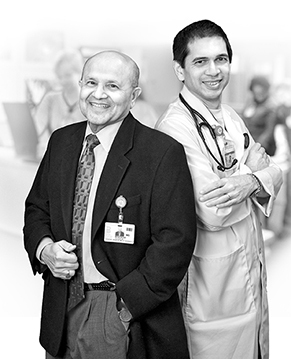 To help ensure access, we’ve added new physicians, nurses and support staff to the Beebe team. To increase community involvement in preventive health activities, we sponsor a wide variety of community outreach programs including free flu clinics, free health screenings, special health classes, wellness and preventive initiatives and support groups. Last year, more than 60,000 individuals accessed care at our locations. This year, thousands more will as Beebe Healthcare works to make Sussex County one of the healthiest counties in the nation—one person at a time. For a list of Beebe’s locations click here.